From Melbourne, go east on the Monash Freeway (which becomes Princes Freeway) towards Warragul. 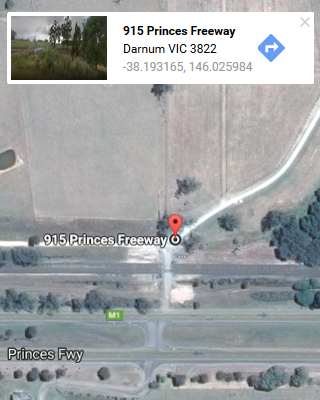 Stay on the freeway, after approximately an hour, continue past Warragul, and past the Darnum exit. Website © Balius Farm. All rights reserved.